Globe Telecom subscribers from areas hit by the recent Typhoon Glenda will now have something to smile about as mobile services are now back to normal. They have experienced service disruption last Wednesday due to bad weather. 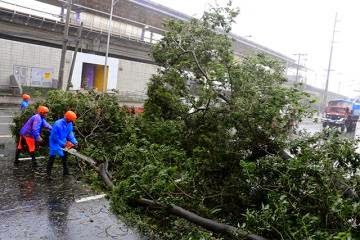 Company efforts to fast track recovery process have allowed the telecommunications provider to restore services in affected areas. Globe services in northern Luzon and Metro Manila were generally unaffected. To help residents in areas severely affected by the typhoon, the telecommunications provider is now providing more Libreng Tawag stations. Globe said it added five more Libreng Tawag and Charging sites in various parts of the country on top of the facilities set up at the Daet Elevated Town Plaza in Daet, Camarines Norte yesterday afternoon. Libreng Tawag and Charging stations are now up at the University of Eastern Philippines, Catarman, Northern Samar; in front of Tradecom Office, Lapu-lapu St. and in front of Legazpi Public Market, Legazpi City, Albay; Merville Access Road, Paranaque City, Metro Manila; and People’s Hall, Brgy. Poblacion, Muntinlupa City, Metro Manila. At the same time, Globe has identified the municipalities of Sto. Domingo and Malinao in Albay as priority areas for relief operations that will be conducted over the weekend. Two of the areas being assisted by Globe –Sto. Domingo and Malinao, are part of the company’s community-based Disaster Risk Reduction and Management Program to help communities prepare for possible emergencies during the rainy season such as flooding, landslides, and strong winds. Other areas for assessment are the provinces of Quezon and Bataan.